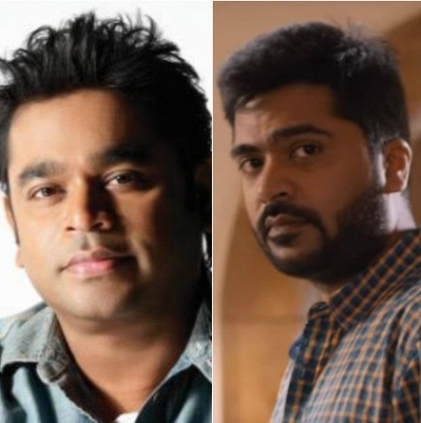 AR RAHMAN’S EFFORT TO CHANGE SIMBU’S FORTUNE? The hot and happening song right now is the ‘Thalli Pogadhe’ promo track from the teaser of Simbu - Gautham Menon’s upcoming film Achcham Yenbathu Madamaiyada composed by AR Rahman. This song is already a viral hit among the youngsters. Reports say that the makers did not have any plans to release this happening teaser for the new year initially. But it was the Mozart of Madras who wanted to give a morale boost to Simbu, who has been facing a lot of trouble of late. Apparently AR Rahman had cancelled his travel plans to work on this song and the BGM of AYM teaser. Valeba Raja is releasing or not? Will Director K Viswanath Work With Composer AR Rahman? AR Rahman To Join Hands With Lyricist Mehboob After 9 Years? AR Rahman Meets The Obamas Again? People looking for online information on Achcham Yenbadhu Madamaiyada, AR Rahman, AYM, Simbu will find this news story useful.